The Bancroft Library's Latin Americana Collection grew out of Hubert Howe Bancroft's publishing enterprises related to the "Pacific States," covering the region from Panama to Alaska. Building on Hubert Howe Bancroft’s original 19th-century holdings of important Mexican collections, the Bancroft Collection of Latin American manuscripts, imprints, newspapers, broadsides and pamphlets is one of the world's great repositories for historical and contemporary research on Mexico and Central America. As a specialized area collection, it contains all forms of primary and secondary sources, including printed material, microfilm bibliographical and reference sources, and critical editions of major historical texts. The Bancroft Library holds indigenous manuscript materials related to history, religious instruction, linguistics, and conflicts surrounding Christianization, land, and labor. Among the historical works are Fernando de Alba Ixtlilxochitl's history of New Spain, Ramón de Ordoñez y Aguiar's and Francisco Ximénez's manuscripts on Chiapas and Guatemala, Juan Franco's writings on Panama, and other materials related to Quiche, Mosquito, Mayo, and Yaqui history. There are vocabularies, grammars, and catechisms in Nahuatl, Opata, Tzeltal, Quiche, Tzutujil, Cakchikel, Pocoman, Ixil, Zapoteca, Mixtec, Otomí, Pima, Choco, and other indigenous languages. Especially rich are the Nahuatl manuscript materials attributed to Alonso de Molina, Andrés de Olmos, and Faustino Chimalpopoca Galicia, as well as the Alphonse Pinart and Brasseur de Bourbourg linguistic materials. Note: spelling of indigenous groups and languages varies in catalog records. There are also significant collections of legal materials, documents reflecting relations of Indians and Spaniards, and religious materials, including numerous records of the different orders of the Catholic Church. See also the Western Americana. This nearly twenty-foot long Cuicatec scroll from Oaxaca is a rich source of information on Mesoamerican history and culture. Drawn on native amatl paper, the codex documents origins, religious rites, warfare, and lineages. The Fernández Leal Codex is linked to the Porfirio Díaz Codex in the Museo Naciónal de Antropología y Historia in Mexico City. Both texts were produced in the 16th century but are thought to be based on pre-Columbian predecessors. The holdings for Colonial Spanish America, and Central Mexico in particular, constitute the richest portion of the Latin Americana Collection. Included are extensive holdings of manuscripts, imprints, broadsides, and pamphlets (sometimes grouped as "Papeles Varios") for this period. Many of the manuscripts and imprints are of an official or religious nature, such as the reales cédulas and ordenes de la corona, Inquisition documents, genealogical records, various account books, records of local government (e.g. ayuntamientos and cabildos), and church and convent records. Early scholarship is also documented in texts such as Diego Duran's Historia de las Indias de Nueva-España y Islas de Tierra Firme (1579-1581), Fernando de Alba Ixtlixochitl's Sumaria relación de todas las cosas que han sucedido en la Nueva España, Antonio de Herrera y Tordesillas's Historia general de los hechos de los castellanos en las Islas i Tierra Firme del Mar Oceano (1601-1615), Carlos Sigüenza y Góngora's Anotaciones criticas sobre el Primer Apostol de Nueva España y sobre el Imagen de Guadalupe (ca. 1699), Juan de Palafox y Mendoza's Obras, and Juan Bautista Muñoz's Historia del Nuevo Mundo (1793). The Bancroft Library's collection of Inquisition documents, the largest in the United States, includes some of the most significant cases brought before the Inquisition, such as the charges brought against Leonor and Isabel de Carvajal for practicing Judaism. These procesos, or trials, include such materials as genealogical and property records as evidence in charges of breaches of orthodoxy and sexual misconduct, including blasphemy, relapsed Judaism, witchcraft, superstition, bigamy, and solicitation. The Borderlands are a primary collecting area for The Bancroft Library, which holds manuscripts related to exploration and settlement of the territories from Florida to California. Documents relating to Nueva Vizcaya and the Provincias Internas include records of the Jesuit and Franciscan orders; materials from the Pinart Collections from New Mexico, Chihuahua, Sonora, and other Northern Mexican states; and the Archives of California. Among the administrators and missionaries represented are many governors of New Mexico and California, numerous viceroys, and missionaries and explorers such as Nicolás de Cardona, Francisco de Ortega, Eusebio Francisco Kino, Pedro Font, Gaspar de Portolá, and Juan Bautista de Anza. Newspaper holdings include colonial gazettes such as Gaceta de México, Gazeta de México, Gazeta del Gobierno de México, and Gaceta del Gobierno Imperial de México, as well as early newspapers such as El Diario de México, El Conductor Eléctrico, El Pensador Mexicano, Correo Semanario de México, Diario del Imperio, El Republicano, El Federalista, La Voz de la Patria, and others. There are also substantial collections of newspapers from the Revolutionary period, regional newspapers, Central American newspapers and gazettes, and Spanish-language newspapers from the United States. The Bancroft Library has numerous official and personal records related to the Wars of Independence, the Mexican-American War, travel to California for the Gold Rush, the French Intervention, and filibustering activities. Other materials include documents related to the administration of Emperor Maximilian, the archives of La Commission Scientifique du Mexique, newspapers, and exile presses such as La Voz de Méjico in San Francisco. The library holds a complete run of the Boletín de la Sociedad Mexicana de Geografía y Estadística (beginning in 1839), surveys and maps produced by the Comisión Geográfico-Exploradora and Ferrocarriles Naciónales de México, and business records of Northern Mexican mining companies. As with the Colonial period, the library holds materials from key scholars of the National period, including José Joaquín Fernández de Lizardi, Carlos María de Bustamante, Fray Servando Teresa de Mier, José Luis Mora, Lorenzo de Zavala, Lucas Alamán, José Gómez de la Cortina, and others. The Bancroft Library has letters, pamphlets, and books from key figures in the Mexican Revolution, including Porfirio Díaz, Francisco Madero, Ricardo Flores Magón, Francisco "Pancho" Villa, Emiliano Zapata, and Venustiano Carranza. The Silvestre Terrazas Collection consists of more than 100 boxes of letters, documents, and photos related to Terrazas’s career as a newspaper editor in Chihuahua. Alternative sources include the collection of corridos from the Mexican Revolution and the James Wallace Wilkie collection of oral histories with political leaders of the Revolutionary Period. There are also extensive photographic collections in this area, including prominent families’ photographs of the Mexican Revolution and documentation related to Red Cross activities with refugees along the border. As with the National period, there are records of U.S. business interests in Mexico, such as the maps and blueprints of engineer Emil Bronimann, the Byron R. Janes papers, the correspondence of Irving and Luella Winship Herr, the B. A. Ogden papers, and the Bours, Tomas Robinson & Co. business papers. Central American holdings from the early Colonial period include records of Dominican, Franciscan, and Jesuit activity in the region as well as materials by figures such as Pedro de Alvarado, Alonso Díaz de Reguera, Andrés de Cereceda, Juan Gavarrete Escobar, García de Valverde, Clemente Arauz, Francisco Morazán, and Rafael Carrera. Bancroft’s Central American collections include those of Brasseur de Bourbourg, Alphonse Pinart, Ephraim George Squier, John Lloyd Stephens, and Alfred Keane Moe. Also significant are Bancroft's Reference Notes on Central America and numerous papers and memoirs of U.S. travelers, merchants, and filibuster participants. More recent records include interviews concerning Guatemalan history and politics (1930-1968), the Nicaragua Information Center Records (1980-1991), and the Data Center Records (1950s-1990s). The Bancroft Library pictorial holdings on Mexico and Central America include sketchbooks, lithographs, photographs, drawings, stereographs, postcards, and posters. Among the early lithographs and drawings are Claudio Linati's Costumes Civils, Militaires et Religieux du Mexique, Frederick Catherwood's Views of Ancient Monuments in Central America, Chiapas and Yucatan, Casimiro Castro's México y sus Alrededores, and Andrew Jackson Grayson's Birds of the Pacific Slope. Photographic collections include Desiré Charnay's Cités et Ruines Americaines, a military album from the French occupation entitled Souvenirs du Mexique de 1861 à 1867, Abel Briquet's Vistas Mexicanas, photographs of Yaqui Indians, albums from Mexico and Central America, and various collections from the Revolutionary period. The Bancroft Library also has a substantial collection of Latin American poster art from Mexico, Nicaragua, Cuba, and other parts of Latin America. More recent collections include some 1,000 posters relating to Central American politics in the 1970s and 1980s and the Juan Pascoe Collection of books and ephemera. The Bancroft Library holds the papers and research materials of a number of influential Latin Americanists, including Herbert Eugene Bolton's and George Peter Hammond's research materials on borderlands history, Woodrow Wilson Borah's and Sherburne Friend Cook's research materials on historical demography, Carl Ortwin Sauer's papers and research notebooks on historical geography, Lesley Byrd Simpson's papers on colonial Mexico, and Engel Sluiter's documents related to economic and political history in Latin America. Built around The Bancroft Library's manuscript collection, the microfilm collection of manuscripts from foreign archives is one of the largest in the country, capturing documents from archives in Mexico, Spain, Portugal, Brazil, France, Great Britain, the Netherlands, Italy, and Germany. Documents microfilmed are largely related to Western North America and the Pacific coast. Mexico's Archivo General de la Nación and Spain's Archivo General de Indias are especially well represented. A preliminary guide is available in the Bancroft Library Reading Room. Dale L. Morgan and George P. Hammond. A Guide to the Manuscript Collections of the Bancroft Library. Vol. 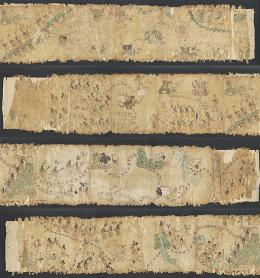 2: Manuscripts Relating Chiefly to México and Central America. 2 vols. Berkeley: Published for The Bancroft Library by the University of California Press, 1963-1972. Z6621.B2.B2, various holdings.